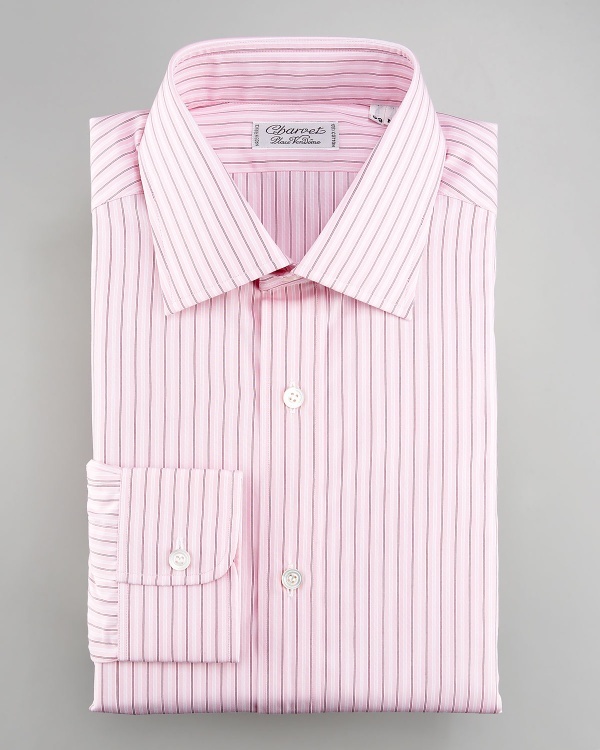 Charvet goes for a brighter, cheerier option with this striped pink dress shirt. A great looking French made piece with quality construction and pure cotton construction, this is a wonderful option with a spread collar that looks just as good paired with a serious suit, as it does as a casual piece. Available online now.